Ice Fishing Season Is Coming On! 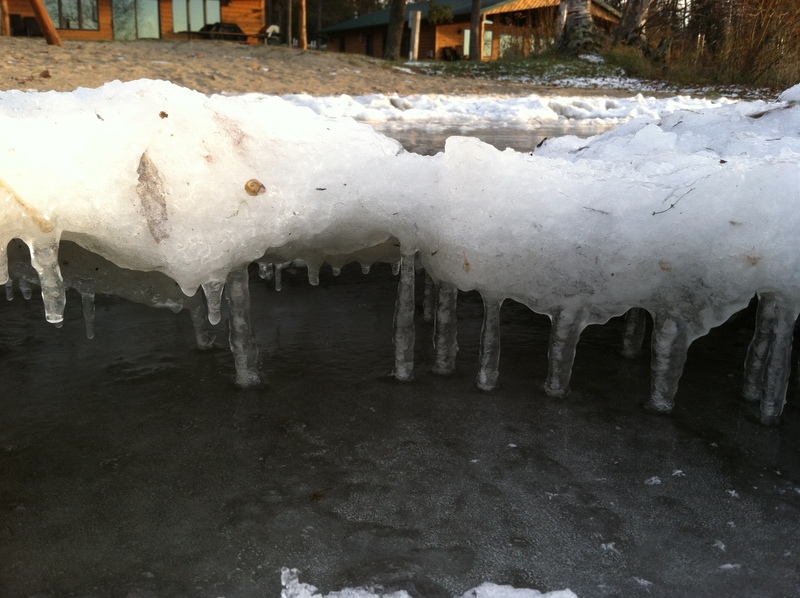 The south basin of Bass Lake is almost iced over! Anglers waiting for Minnesota ice fishing must be thrilled with our cold temperatures these last few days. Bass Lake is making ice like crazy! 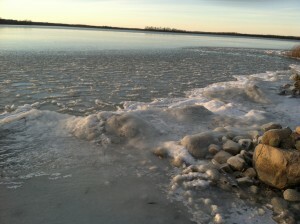 In fact, there are several inches of ice for about 15 feet out from shore. 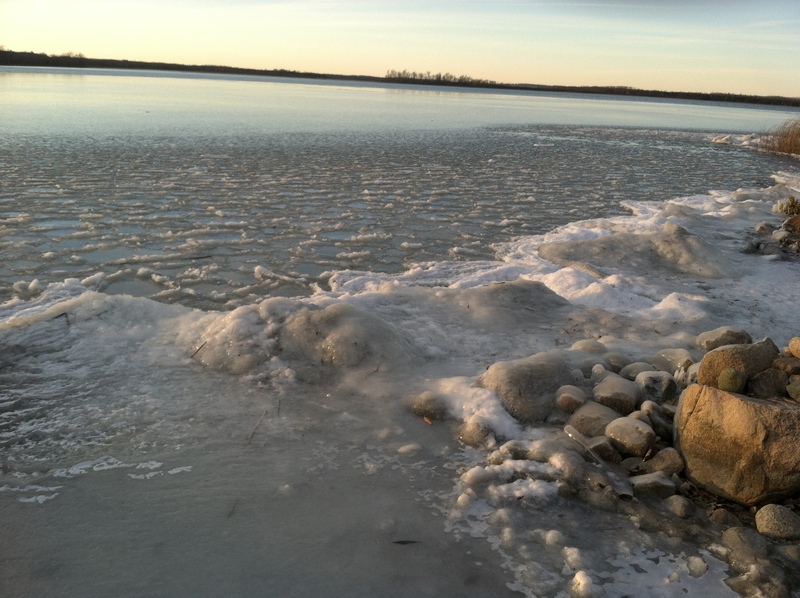 There certainly isn’t enough ice to consider ice fishing but it seems like it won’t be long before we see people out on the lake for “first ice.” It should be good ice this year, too. 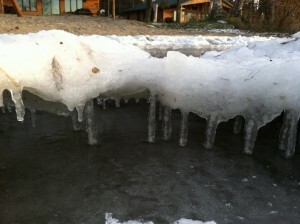 It looks like those first layers of ice are going to get good and thick before any measurable snow falls. Ice fishing paradise! Our builders got a crazy amount of work done since the last post on our blog. Both Aspen Lodge and Cedar Lodge are up and weather-tight and they even have interior walls. It is really exciting to imagine the finished cabin now that we can see bedrooms and bathrooms framed out. Both cabins are going to be wonderful! Our builders have been waiting for some warmer days to start framing Oak Lodge. With wind chills below zero on Monday no one was too excited about working outside. 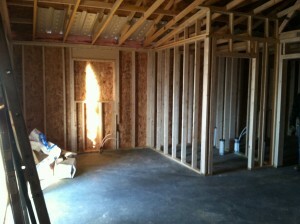 Hopefully with a little warmer weather forecasted for the end of this week they will get the first floor framed up. Keep up-to-date with our latest photos on our Facebook page. Remember you don’t have to have a Facebook page to view ours! That’s it for this week’s update. Stay warm out there! Cool little ice cave on the beach. Makes me wish for an Alice in Wonderland potion so I could explore it!